Happy Roald Dahl Day! Hurray! This is darling and so funny! Hooray for Roald Dahl! Happy B’Day, Roald! Today, 13th September (which just so happens to be a Friday. Unlucky for some, but not me, all my days are full of lots of luck and loveliness) is Roald Dahl Day! On what would have been his 97th Birthday, we are celebrating all things Roald; we are all big fans of his along the cobbles, and we have the most wonderful bookshop in the world right next door, offering all of Mr Dahl’s classics. 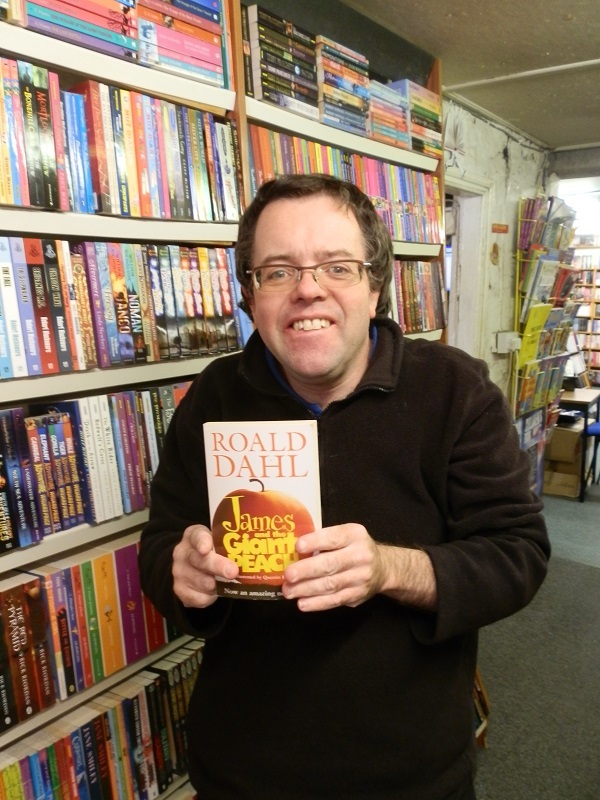 David’s most favourite Roald Dahl book is James and the Giant Peach. Lady L in the jewellery shop also loves this one because of its sinister edge. This entry was posted in Book Reviews, Humor, Literature, Rants and tagged Charlie And The Chocolate Factory, Danny The Champion of the World, Matilda, Roald Dahl. Bookmark the permalink.